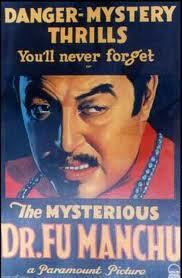 It’s been a while since the world was threatened by evil genius Fu Manchu. Dr Manchu and his posse of grinning Lascars, Dacoits, and Thugees terrorized the world through the work of Sax Rohmer in the first half of the 20th century. Fu, “the yellow peril incarnate in one man”, favoured arcane methods, such as “pythons and cobras… fungi and my tiny allies, the bacilli… my black spiders” to wreak his oriental havoc on the world. Fortunately for the world and frustratingly for him, he was always defeated by the heroics of Sir Denis Nayland Smith (of Burma), an upright, but resourceful foe. These exciting yarns had quite an influence on me as a boy. I usually modeled myself on Fu, rather than Sir Denis, practicing sibiliant hisses, and stroking my long trailing moustaches in as sinister manner as could be mustered by a 12 year-old. Sir Denis frequently baffled Fu by using one of his favorite devices, a ruse. In fact Sir Denis did not seem to have a huge arsenal of devices – the ruse was about it. However it appeared to fool Dr Manchu with ease. It’s not a word that is used much these days, and it is certainly rarely employed in the same sense of 30’s British fair play, where, “an action intended to deceive someone” was regarded as a continental or possibly oriental method of some sophistication and cunning. 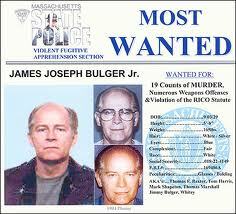 Imagine then my delight and surprise when during a BBC radio announcement of the capture of James (Whitey) Bulger (the famed Boston gangster who had been on the run for 20 years) the other day, I heard that the Santa Monica Police and the FBI had used a ‘ruse’ to obtain his arrest. The authorities showed evident pride that such a cunning device had been used, and I was immediately transported back to my silk kimono, hissing quietly, with little-dog playing the role of the grinning Dogoit. My admiration was increased as the FBI et al had apparently lowered him from his apartment, by using this ruse. “Wow! That’s quite a ruse” I thought. Getting a suspicious gangster on the lam, into a basket, and lowering him down must have taken a hell of a subterfuge. My sense of awe was only slightly diminished later when I found they had actually lured him from his apartment through the more prosaic exit of the front door. Even luring is a Fu Manchu style method. In fact I think it may have been one of his favorite devices also. There is a message here. As more diabolical foes come to take the place of Bin Laden (who, come to think of it, had a slightly Fu Manchu appearance to him), hidden in the works of Sax Rohmer may be the tools to defeat them. Certainly, the lead investigators would gain much-needed credibility by the use of silk lounging wear and a manly pipe.